While it does support many basic tools like spell check and custom font styles, it also includes more advanced ones like macros, bookmarks, math functions, a built-in image gallery, and keyboard shortcuts. There's also a portable version of OpenOffice Writer if you'd rather use it without installing it, like from a flash drive or disc. Make sure to select your operating system from the drop-down menu through that download link, like if you need the Linux or macOS version instead of the Windows one. You can find the portable version on their third-party ports and distributions page. The portable option requires that you download the entire OpenOffice suite without the ability to selectively install just the Writer component. This means you'll also get OpenOffice's Base, Calc, Draw, Impress, and Math programs. Provides all the basic formatting adjustments like changing alignment, font, text style, size, line spacing, etc. 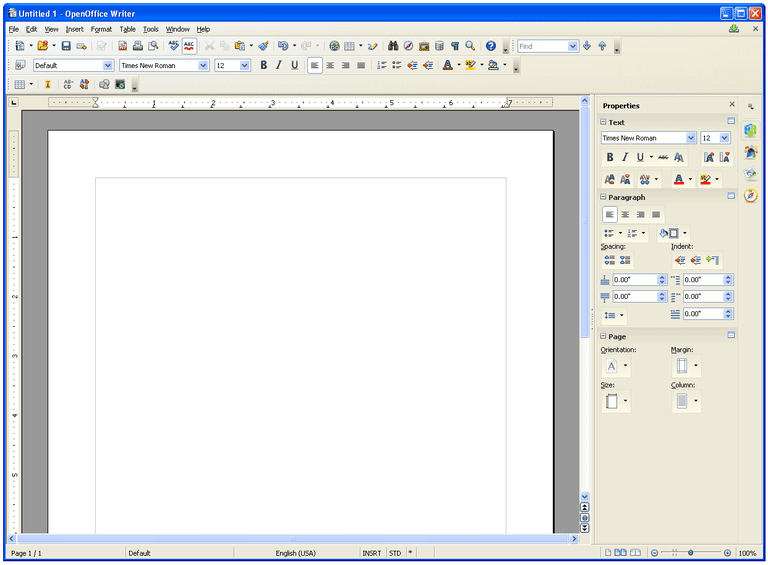 OpenOffice Writer is full of great writing tools, though using it for the first time may be a bit overwhelming until you're familiar with the buttons and menus. Though OpenOffice Writer can edit documents in the popular DOCX file format, it doesn't support saving back to it, which is unfortunate. I'm glad a portable download option is available for OpenOffice, but it's too bad you're required to install the other parts of the office suite along with Writer. Because of this, the download size might be a bit large for some flash drives, at around 800 MB. When installing OpenOffice Writer, choose Custom during setup and deselect any program you don’t want installed. This will enable you to prevent the install of the spreadsheet, presentation, and other parts of the suite.